Former President George H.W. 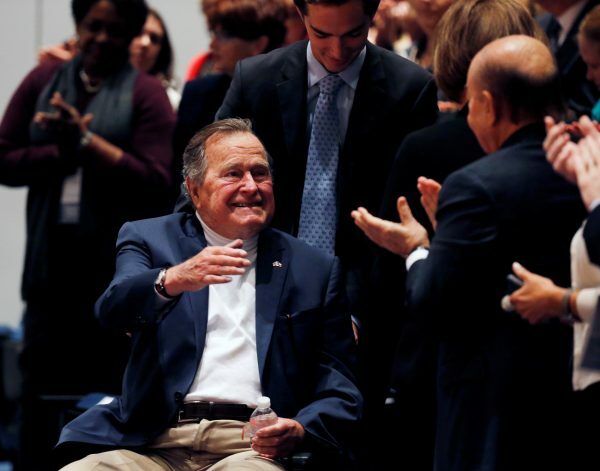 Bush, 93, was taken to a hospital in Maine on Sunday, May 27, after experiencing low blood pressure and fatigue, a family spokesman said on Twitter. Bush, the oldest living former president, will likely remain at Southern Maine Health Care for a few days for observation, said the spokesman, Jim McGrath. “The former president is awake and alert, and not in any discomfort,” McGrath wrote on Twitter. Bush was hospitalized in Texas last month for treatment of an infection that spread to his blood, and stayed there for nearly two weeks. He was admitted to the hospital a day after he attended the funeral of his wife, Barbara, the former first lady who died on April 17. The couple had been married for 73 years. On Saturday, Bush attended an American Legion event in Kennebunkport, Maine to mark the upcoming Memorial Day with military veterans and his former national security adviser Brent Scowcroft, according to a post on Bush‘s official Twitter feed. Bush is the father of former Republican President George W. Bush, who served two terms from 2001 to 2009, and former Florida Governor Jeb Bush, who unsuccessfully sought the 2016 Republican presidential nomination.